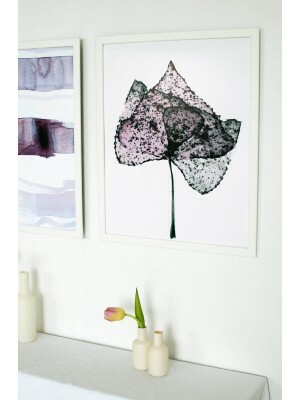 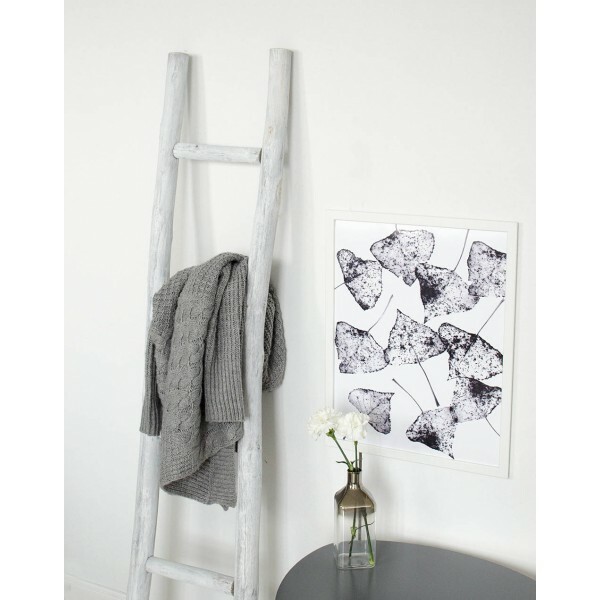 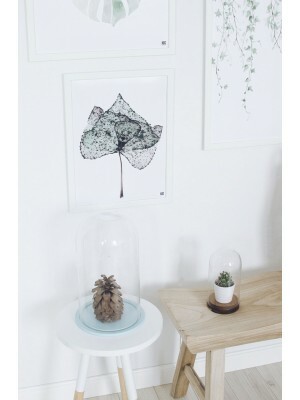 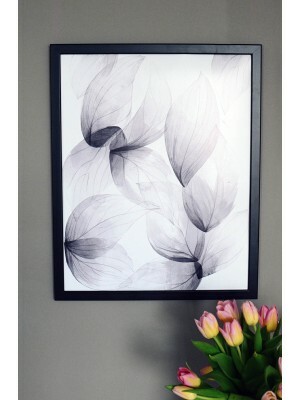 A poster with a botanical motif showing linden leaves in black and white colors. 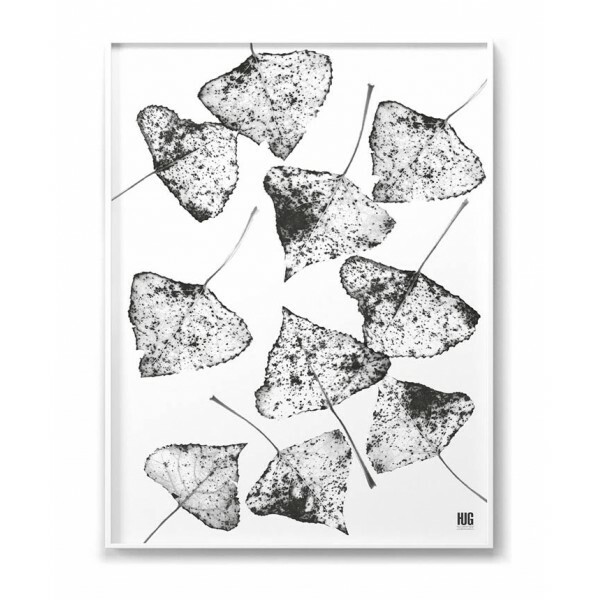 Unusual poster in an autumn climate. 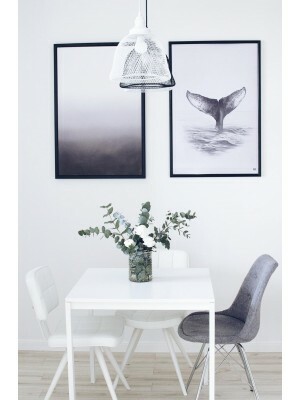 It can appeal to people who value simplicity and minimalism in interiors.